General Election Count. ((N81)..1981..13.06.1981..06.13.1981..13th June 1981..After the general election voting was done and dusted, attention now swung to the various count centres throughout the country. 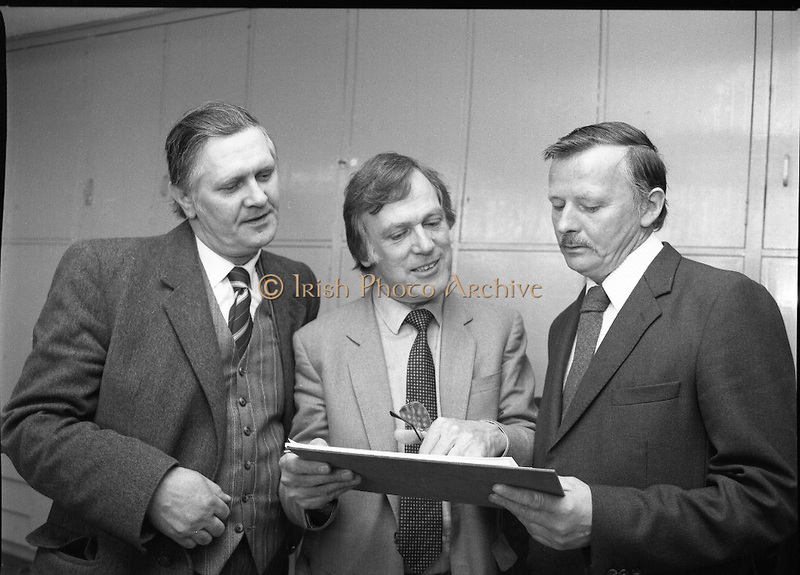 Hopeful politicians,wellwishers and party tally men descended on the centres to see the counting take place and hope to glean their prospects or that of the parties...Image shows Mr Leo Martin, Director of Elections, Dr John O'Connell TD and his election agent Mr Patrick Vickers at the count centre.